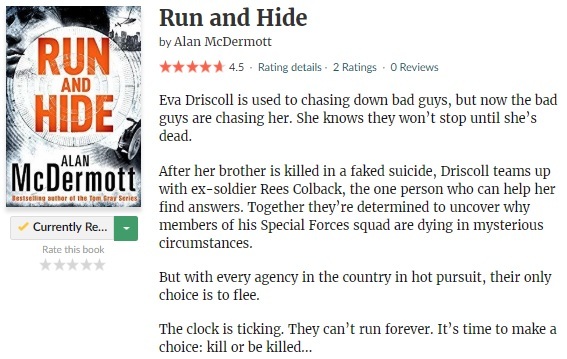 I’ve been slowing working through my pile of ARCs and this is another one… Run And Hide by Alan McDermott. I’ve been in the mood for a good thriller so fingers crossed this one will deliver. It’s looking to be a promising story so far! This entry was posted in Book Memes, Teaser Tuesdays and tagged alan mcdermott, book memes, run and hide, teaser tuesdays by Yvo. Bookmark the permalink.